You came to Breckenridge for the world-class skiing and riding, but the town’s bar scene has some of the best nightlife options around. And let’s face it, those bar tables won’t dance on themselves. 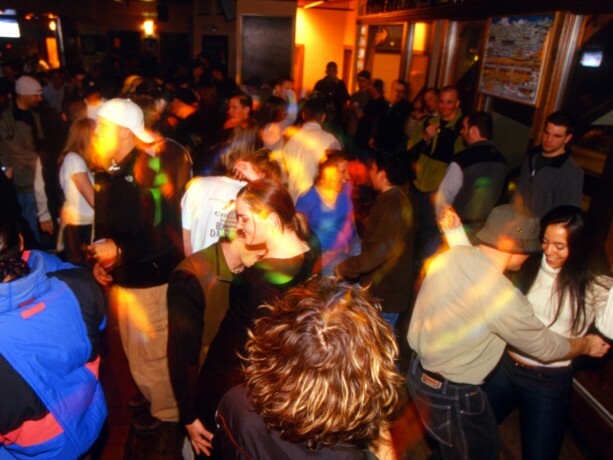 Whether you want to dance ‘til you drop or casually sip martinis while listening to live jazz, here’s a roundup of some of the best Spring Break nightlife spots in Breck. Before a crazy night on the town – enjoy a relaxing dinner and prep for your adventure! Located in the new Grand Lodge at the base of Peak 7, Seven’s features a Stone Hearth pizza oven and full bar. 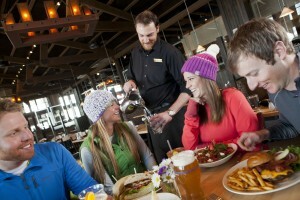 There is even a “quick service window” for skiers and riders who want to grab a quick meal. Make sure you are fueled-up and ready to handle whatever comes your way. If marathon dancing and late night drink specials are right up your alley, head over to Cecilia’s on the south side of town. On Thursday nights, bartenders will pour $1 cocktails from 10-11 p.m.. You don’t have to break the bank to break it down on the dance floor as live DJs spin all night long. View the list of weekly specials and events, and don’t forget to bring your dancing shoes! If you’re here with the whole family, Downstairs at Eric’s is your go-to place to be this Spring Break. Kids will enjoy the game room while Mom and Dad sit back and enjoy a thirst-quenching beer from Eric’s impressive beer menu – all while watching their favorite sports team after a long day on the slopes. This is the music venue to visit in Breck, offering a variety of shows all month long. Get your groove on to artists such as Yamn, Great American Taxi and the Jerry Garcia Band Cover Band. Check out the full lineup and get your tickets to your favorite bands early. How about smooth jazz and a martini, shaken not stirred? Try the Blue River Bistro, a classy joint located on the north end of town. 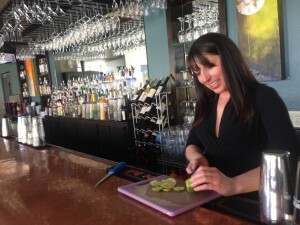 The Bistro does two happy hours nightly, featuring 2-for-1 martinis and 2-for-1 appetizers. Kick back to live Jazz and Blues musicians and enjoy the end of a successful day on the mountain! Another not-to-miss nightlife spot in Breckenridge is Napper Tandy’s Irish Pub. Thursday nights features Beer Pong tournaments, Saturdays have live music – there’s a guaranteed party every night of the week. Step back in history as you enter the swinging doors of the Gold Pan Saloon and you’ll feel as if you’ve gone back in time. Opened in 1879, the Gold Pan is rumored to have the longest standing liquor license west of the Mississippi. Live music, drink specials, bar games and more, the Gold Pan will satisfy any Spring Break outing.